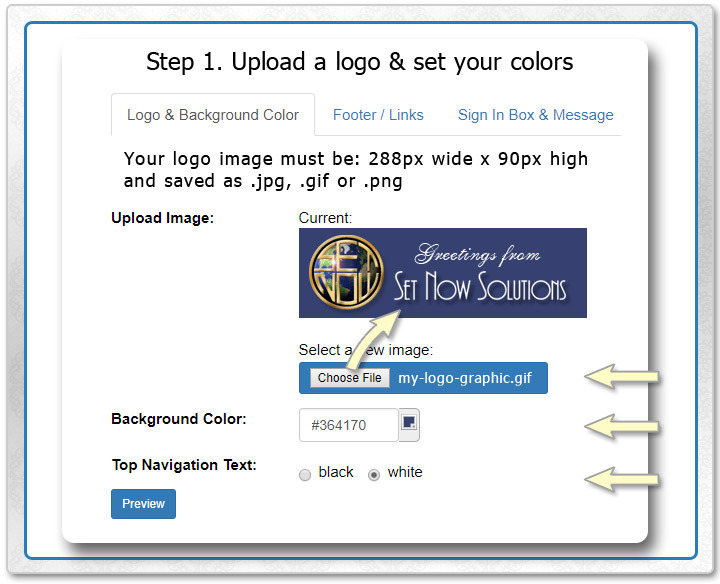 Upload your logo and choose the colors to be used throughout the site to match your company's visual brand identity. 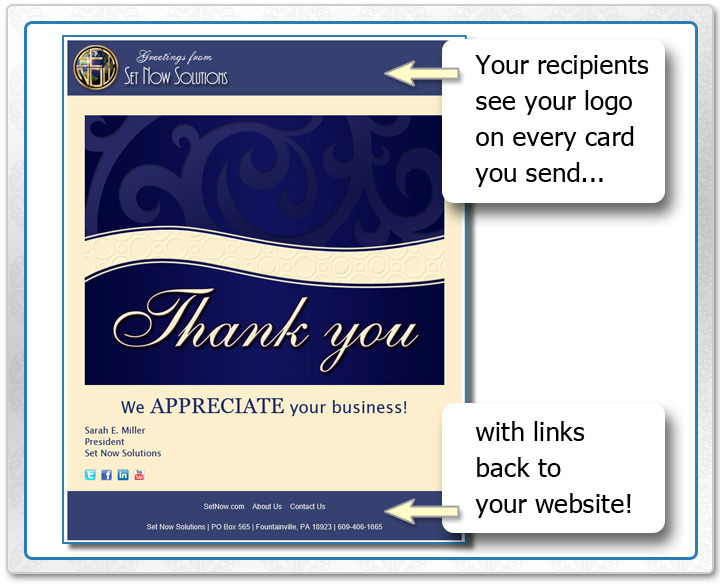 Your custom branded interface design will be visible to your recipients when they view your eCards, invitations and surveys. This feature is available as an upgrade for a one-time fee for individual plan members, and is included with our multi-user memberships. Your company branded interface will also be visible to you when using CorpNote, and to all of your users if you have a Multi-User plan. Upload your logo and choose the colors that match your company brand. 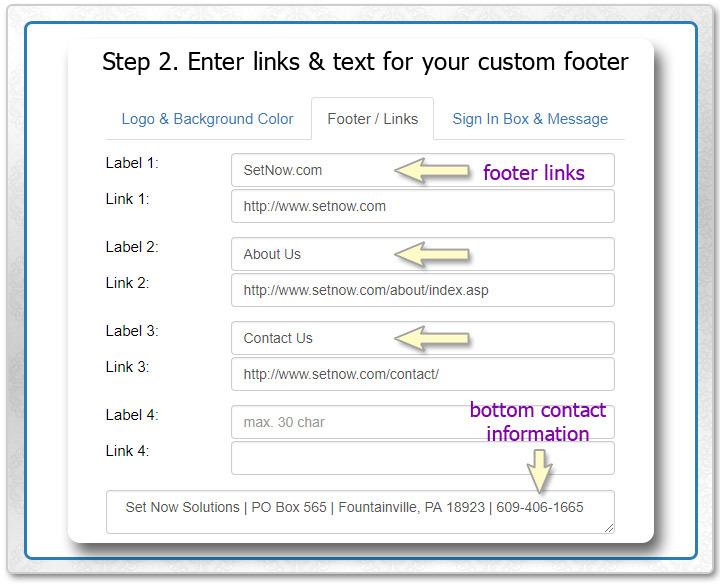 Set a custom footer that includes your company's contact information and links to your website and/or social media. Recipients see your custom branding and can easily visit your website. Watch how to set up a CorpNote Custom Interface, and how easy it is to send an eCard! Consolidated billing and 50% off our individual monthly membership rate. Each user has their own private account with access to all of CorpNote's features such as unlimited eCard sending, private address book, event management and the ability to conduct online surveys. 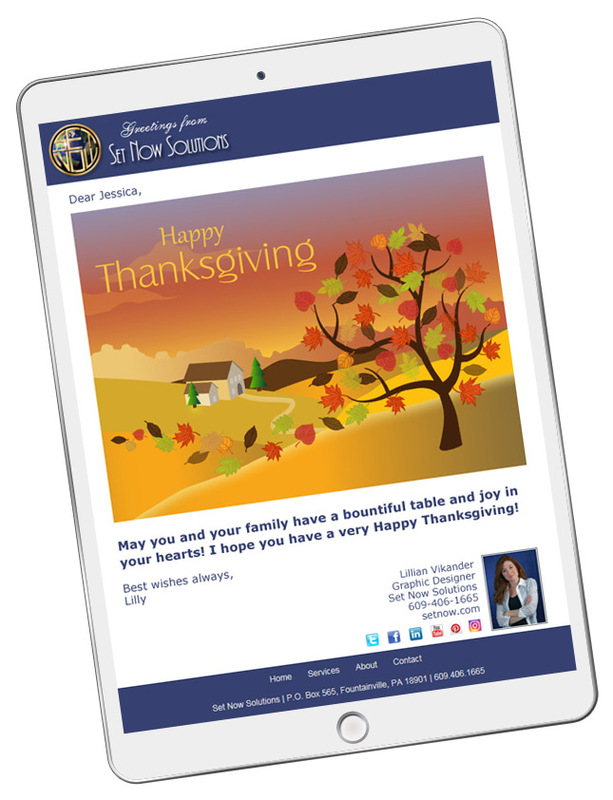 To ensure brand consistency, administrators can share uploaded eCard designs and templates and specify which users have access. General reports on user activity and the ability to block users from uploading their own eCard designs and/or using CorpNote eCard designs. Extensive tutorials and live phone support is included. "CorpNote has been a valued service for NJ SHARES. We use CorpNote for communicating events and coordinating registrations as well as sending holiday and other greetings. CorpNote is user friendly and effective and their support team is responsive and courteous. I enjoy working with them when I have a question."